This is a beautifully treed and fenced 5.2 acre lot just south of Water Valley and a mere 5 minutes from the Golf Course. 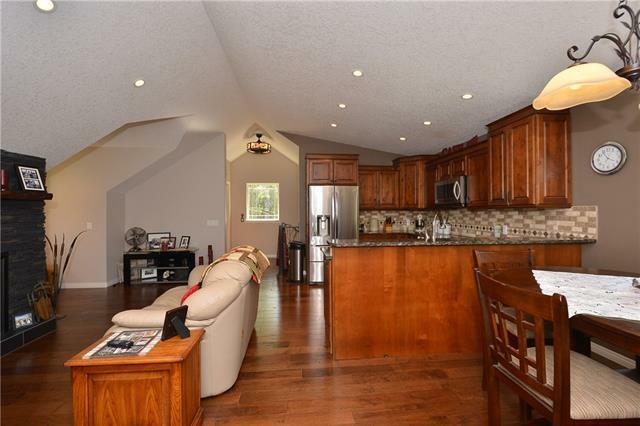 This is a unique 2 storey home with the living area over a finished double garage & single garage/workshop. The upper floor consists of 1 Bedroom with ensuite, kitchen outfitted with Stainless Steel appliances and quartz countertops. The living room is enhanced with a gas rock faced fireplace. 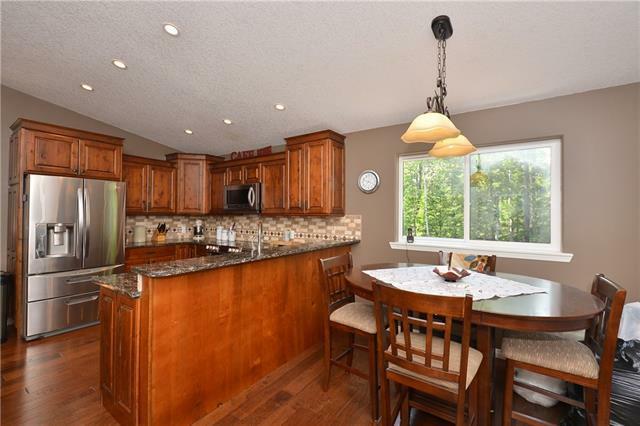 Hardwood flooring graces this floor throughout. 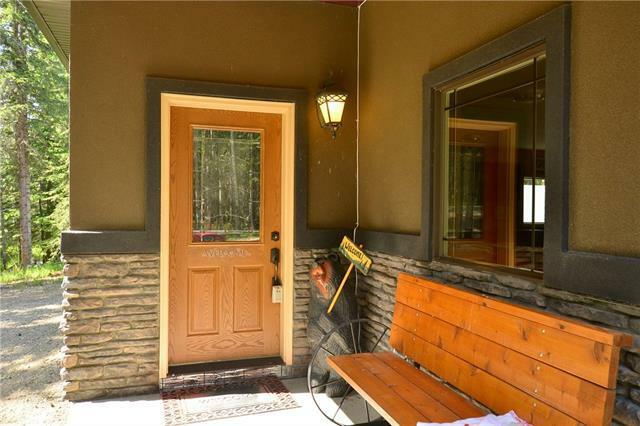 Also located on the property are 2 unserviced guest cabins and 2 sheds with a terrific entertaining area. Recreation abounds on the quading trails on the property. 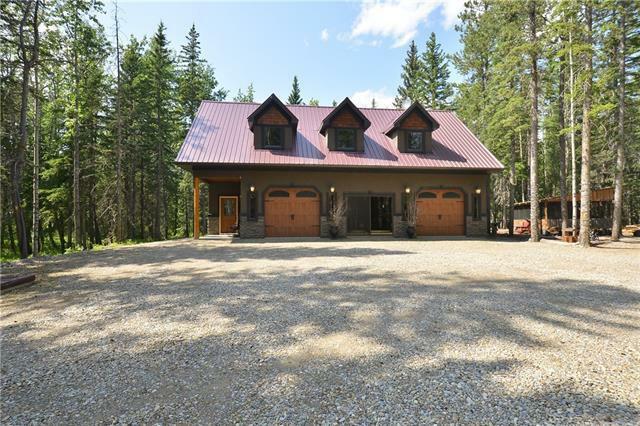 This is a great property for a weekend escape to golf, hike or fish in nearby Winchell Lake or build your dream home here. Very classy buildings which MUST BE SEEN TO BE APPRECIATED! !